This super bright compact & lightweight led traffic batons is effective at over 500 meters and has a remarkable duration due to its use of high efficiency LED. It is for Aviation, traffic and personal visibility applications. 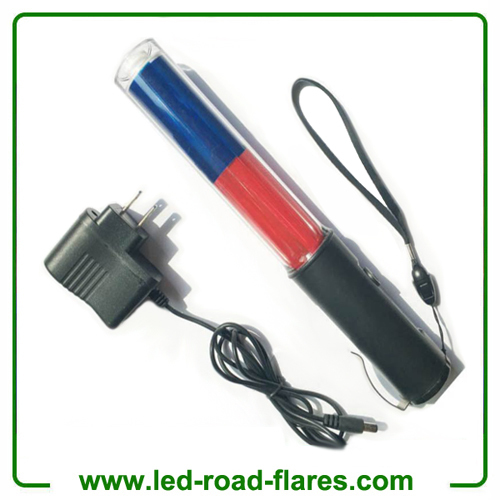 LED Traffic Baton offers the illumination for signaling and is visible up to one mile and great tool for illuminating, signaling, directing and marshalling. The Traffic Baton is lightweight, extremely durable and safe to operate in adverse weather conditions and Ideal for and used by Military, Police, Airport, Marine, Auto Emergencies, Road Construction Crews, Parking Attendants andPedestrian Safety personnel for directing traffic and capturing attention. Weather-resistant body made of A.B.S. high-impact plastic; tube is AS transparent material. 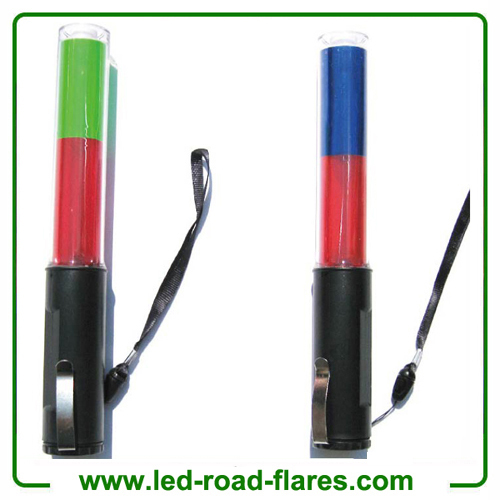 The Red Green Led Traffic Wands Red Blue Traffic Batons is the latest in traffic directing safety, serving as both a safety baton and flashlight. This Red Green Led Traffic Wands Red Blue Traffic Batons features a durable ABS casing, polycarbonate lens.The Non-recharegable Red Green Led Traffic Wands Red Blue Traffic Batons is battery operated (requires 3pcs AA batteries, not included) and has three operating modes. The bright red LEDs replace the dangerous chemicals of incendiary flares, reducing the risk of fires or burns. Encased in unbelievably tough polycarbonate, these light batons are waterproof (up to 50 feet).